Sitting for long periods of time isn't just uncomfortable – it's a health hazard. Many office chairs do not provide you with adequate back support. Over time, this can result in back pain. The Herman Miller company's Aeron chair was designed to change all that. The chair's ergonomic design promotes the highest level of comfort possible. 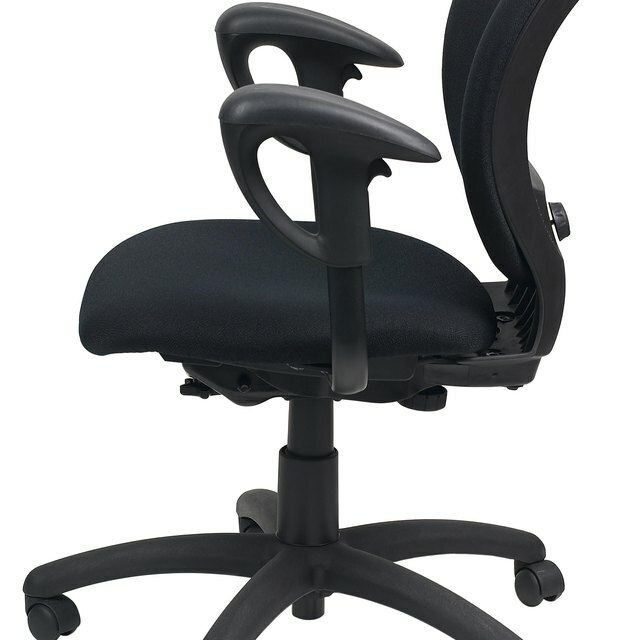 Herman Miller also manufactures modifications for its Aeron chairs, such as special armrests and lumbar support systems. Depending on the type of modification you order, you may need to partially or completely disassemble your chair to install it. Turn the chair upside down. Fit the pipe wrench around the gas cylinder connecting the bottom of the chair to the seat. Turn the gas cylinder clockwise with the pipe wrench until the bottom section of the chair with the gas cylinder attached comes free from the seat. Turn the chair base upside down. Strike the exposed end of the gas cylinder in the center of the chair base with a rubber mallet until the gas cylinder falls away from the chair base. Set the gas cylinder and the chair base aside. Unscrew the cable clip screw located in the center of the chair seat on the back. Pull the chair's control cable through the hole in the backrest. Pull the cable clip off the rear seat. Pull the seat and backrest apart. If you plan to take apart your Aeron chair to fix it rather than install modifications, check to see if your chair is still under warranty before you take it apart. Herman Miller offers a 12-year warranty on all of its office furniture. Take apart your Aeron chair at your own risk. An Aeron chair costs several hundred dollars to replace, and there is no guarantee you will be able to reassemble your Aeron chair properly after you take it apart.